How to Beat Up Big Blockers? Volleyball setting drills to help you to beat up the big blockers. Faster game has become a norm in competitive volleyball. 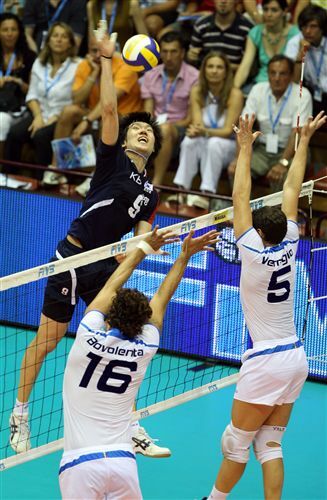 In this page you find tips how setters, passers and hitters learn to play faster game. Volleyball Setting Drills - Are Fast Outside Sets Difficult to Learn? Working on the faster outside offense and its timing could be the most challenging of all the details in volleyball. Fast outside sets require lots of training between the setters and hitters. Fast outside sets are usually harder for hitters to learn than slower sets. There are few players who may actually find fast sets easier and may pick it up quick. Often players who have tendency to be there too early, may find faster outside sets easier to hit. Even if timing may be an issue in the beginning, it is still much recommended to start working on quick sets and use them in the matches right away. You may feel your timing is not perfect..
.. your hits are not as hard..
.. you are mishitting the ball..
but still it is worth using faster sets. When using a faster offense you get the kills much easier because most often the blockers have problems also. There maybe no block in front of the hitter or the hitter can tool (hit off the hands of) the blocker, who is "flying sideways" and whose hands are not properly placed. So don't get frustrated, if the timing is not right. The blockers will have their issues also. 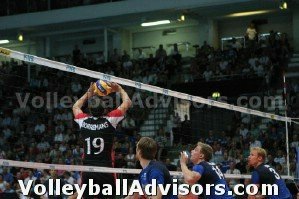 How to Practice Fast Outside Sets on Volleyball Setting Drills? We categorize these volleyball setting drills quite advanced. We rate them with 3 stars on our scale from 1 to 5. So these volleyball drills are not for the beginning volleyball players. The drill itself is very simple, just like any other game-like drill, but co-operation between setter and hitter makes it quite difficult. When the coach adds serving, passing and blocking into the mix, as those all should be present in the game-like drills, the drill becomes even more advanced. A little note first. We never practice hitting without a block - but timing could be such a big issue in this drill - so this drill could be done without a block until spikers get hang of the timing. Many coaches still like to use stands where to place blockers or hitters in the drills, even though there are other coaches strictly against it. When spikers start getting hang of the timing, the coach could consider putting a couple of blockers on the box to block the hitters. 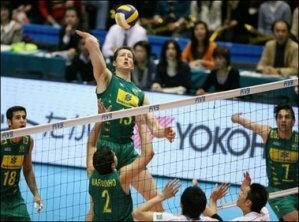 However, keep in mind that usually when hitting a fast outside set in the game, the block is not very steady. Most likely the middle blocker is flying sideways late to the block, so if you put a steady two men block on the stand in front of the hitter it is not very game-like. If using blockers on the stand, most likely the outside hitter struggles to hit past a steady block, especially if this is a new skill for them. More game-like option would be to use "live" blockers, who have hard time getting in front of the spike - just like in the match. How to Run Volleyball Setting Drills to Practice Fast Outside Sets? Coach sets up a ball feeder to feed the ball to the setter. (Once again: it is recommended for coach/assistant coach to act as a ball feeder because tossing an accurate ball for the junior level players is often a very challenging task). The coach puts 2-3 players on the line to spike. We don't line up more players than that. If we have more players, we rotate them in after the first spikers get tired. This helps players to perform many swings in the short period of time and they don't have to wait forever to hit a new ball. We believe it is important when honing new skills. If the hitters' skills are high enough, the coach should make players to swing either line or angle. There should always be a target in the hitting drills. It is always important to have a goal where the players are hitting (line, sharp angle, deep angle/corner, or off-the block, etc.). When hitting line some coaches like to set up an extra antenna about 2-4 feet off the antenna – and require players to swing between antennas. Coach should also have few players on the target to return the ball to the hitters (They return the volleyball to the own court side, if doing the drill on the both sides of the net). It is very important there is somebody to return the ball so players can focus on swinging the balls for couple of minutes with a good tempo. Then when spikers get tired, shaggers switch with the hitters. Other option is to keep rotating players from the other court side to the other, being as a target and shagging the volleyball between the spiking turns. Generally speaking on most technical volleyball drills, we prefer player performing several swings with only minimal rest between each spike. That seems to keep players more focused during the drill. When hitters won’t struggle with the timing anymore, the coach should add blockers in the opposing side. Use one blocker, if you want to run the drill on two court sides. If you want to run the drill game-like, put three blockers to the other side and hit balls from one court side only. Add rightside and/or middle hitters to the offensive side. Require majority of the balls to be set outside, since the purpose of this drill is to train fast outside sets. Add defensive players to the other side of the net. When hitting the ball from the coach’s toss becomes easy, which can take for a very long time, coach can add a passer to pass a ball to the setter. In that case somebody tosses/hits the ball over the net to the passer. Coaches job on these volleyball setting drills - this is IMPORTANT! On these volleyball setting drills the coach needs to give constant feedback to the setter about the tempo of the set. It is very important because without giving constant feedback the setter can get very frustrated because the timing with the hitters can be totally off in the beginning. Players will be spiking the volleyball after another with a fast tempo. The coach also needs to give constant feedback to the hitters and pay attention they set up the timing correctly.